This amazing cleaning system, the Rainbow utilises one of natures most powerful elements, water! Meet the world’s most advanced home cleaning system, the Rainbow. Using one of nature’s most powerful elements, water, the rainbow can give your home new life and is proven to be effective for treatments of Asthma. The typical vacuum cleaner uses a porous bag to collect dirt. The bag works – for the first fifteen minutes of life. Then the dirt clogs the tiny holes in the bag, inhibiting airflow and forcing dust back into the room. The Rainbow uses water to trap dirt in its water reservoir. As a result of this, the dirt and dust are removed from the home, making the Rainbow cleaning system a sensible and long-term Asthma remedy. After cleaning, the lightweight reservoir can be emptied and re-used for the life of the Rainbow. For treatments of Asthma, The Rainbow is certified asthma & allergy friendly™ by the Asthma and Allergy Foundation of America. The Association of Home Appliance Manufacturers (AHAM) certifies that the Rainbow is a proven Asthma remedy air cleaner designed to reduce air pollutants that contribute to poor indoor air quality. We are successful because we listen, analyse, act and produce positive results. We always put you, the client first, delivery ultimate cleaning solutions. The Rainbow Cleaning System cleans your home the most natural way possible, using the power of water. It not only cleans your home, it creates a healthier living space. How is the Rainbow Vacuum so much better? 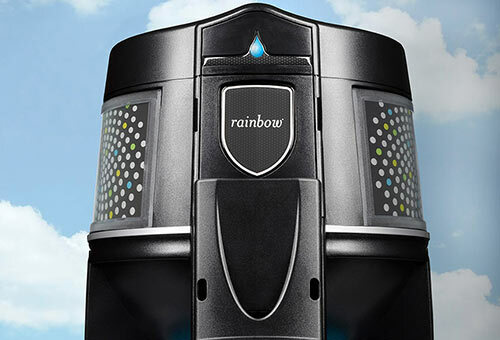 The Rainbow uses Mother Nature’s most powerful element, water, to trap dirt and odours, returning only naturally clean, water-washed air to your home environment. 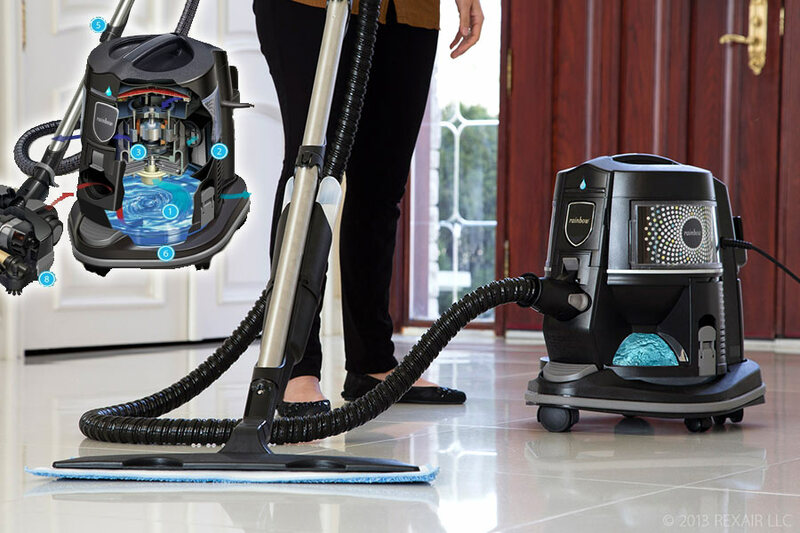 Powered by switched-reluctance technology, our powerful Hurricane® motor has the force to tackle your toughest cleaning jobs and offers indefinite motor life. We’ve thoughtfully placed the controls in an ergonomic handle grip, allowing precise control over powered accessories. Changing wands and tools for different jobs is a snap. The Rainbow follows you from room-to-room on its easy-maneuvering dolly. A rubberized bumper protects your walls and furniture. On-Board LED Headlights illuminates the path ahead, ensuring you’ll never miss a spot. Wall-to-wall cleaning – Dirt, pet hair and crumbs vanish in the Power Nozzle’s powerful revolving brush. Circulating Active-Edge brushes clean tough-to-reach debris along baseboards. Why should I try the Rainbow? The Rainbow is certified asthma & allergy friendly by the Asthma and Allergy Foundation of America. The Association of Home Appliance Manufacturers (AHAM) certifies that the Rainbow is a proven air cleaner designed to reduce air pollutants that contribute to poor indoor air quality. The Rainbow has met the Carpet Industry Standard for all three elements: soil removal, dust containment and carpet appearance. 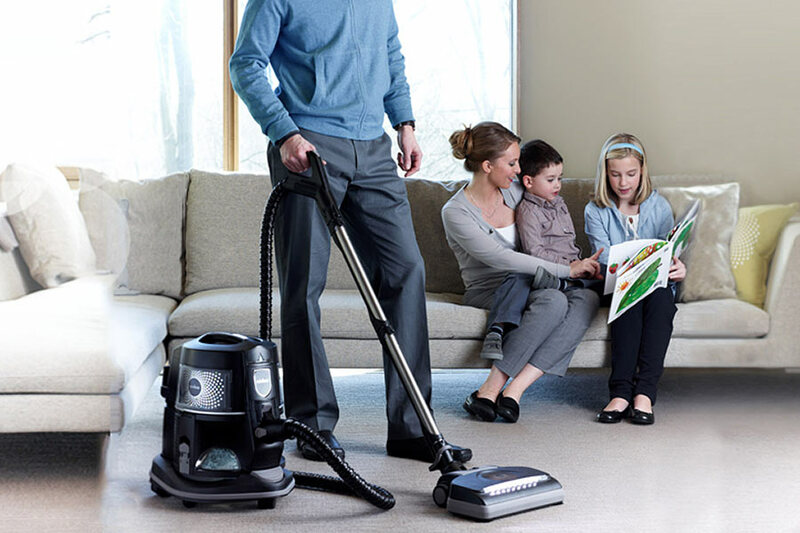 Are these not good enough reasons to try the ultimate vacuum? Get in touch to arrange a demonstration. What are the costs of the Rainbow System? The best always comes at a price. You get what you pay for. But don’t let that put you off because you can own the Rainbow System from as little a £100 per month. Get in touch and ask us how you can make the most of this opportunity. Take a test drive!! How does the Rainbow work? Rexair developed The Rainbow Vacuum in 1936. Over the last 80 years the Rainbow has been refined and enhanced beyond belief, making it the ultimate cleaning system. There is no competition! Medical professionals recognise it as a breakthrough product. Rexair’s growth is enormous, the result of a great product, the hard work and commitment. One of the most obvious, yet overlooked, treatments of Asthma is ensuring you surround yourself in a dust free environment – the Rainbow! Established in the UK 25 years ago, this marked an important role in revolutionising vacuum cleaner products in this country. Satisfied Rainbow clients, let’s see what some have to Say! The Rainbow Vacuum is designed and built to last, some users have the same unit 35 years later! I recently shampooed my carpets with it, turned out awesome, we were surprised with the results. I also know someone else who has owned one of these for over 20 years and it still doesn’t miss a beat. 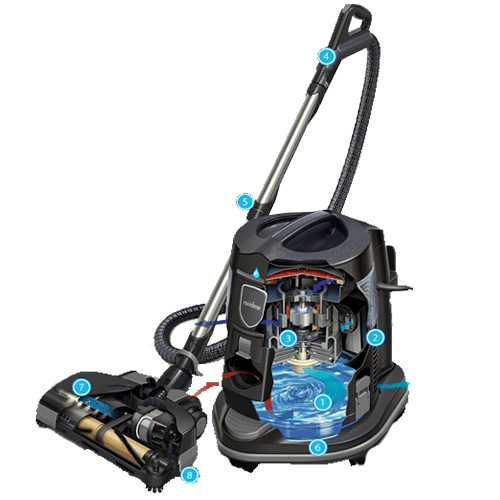 I have owned a Dyson, Kirby and a range of other vacuums and this is the best vacuum I have ever used, highly recommended, it also has an asthma foundation approval on it….love it. I absolutely love them for cleaning the air, pulling dust out of pillows and cushions, it has a carpet shampooed attachment too. I love all the scents that can be purchased and put in the water and makes your house smell so nice! My daughter was asthmatic also at 4 yrs old and I purchased one then. They have great payment plans you can afford too. I swear by the rainbows because my daughters asthma went away after using it. I have had a Rainbow for 25 years and it’s proven to be the best investment of any appliance I have ever made. Dust was an irritating trigger to my asthma at the time and once the Rainbow was introduced into my home it has more than proven its worth by removing the dust, sand, dirt and dead skin from our beds. Although it was still working fine, we decided to invest in the new model and even bought our daughter one as well. Well done and thank you for a first class product. 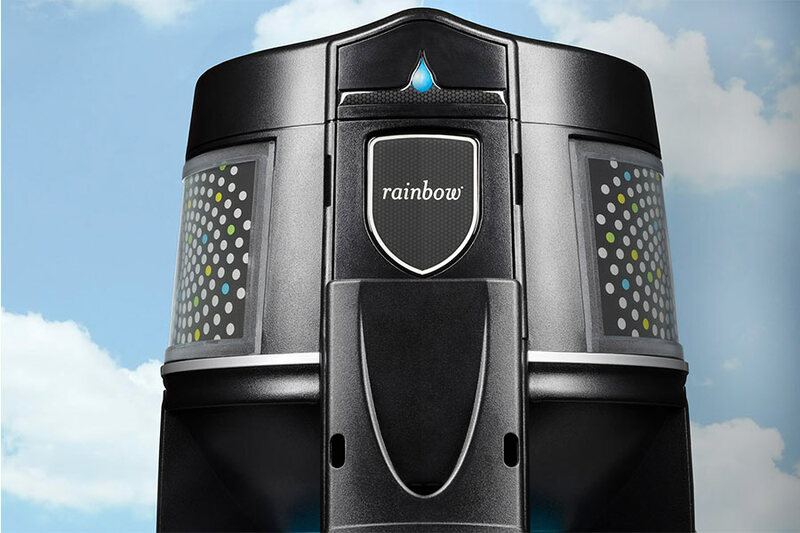 Cosmocare is a distributor for Rainbow Systems – a clean way to improve your lifestyle. 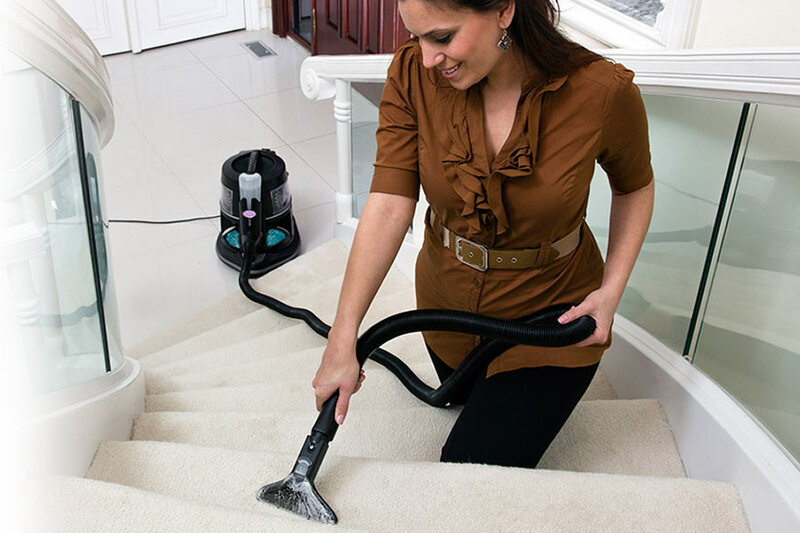 Cleaning the air, pulling dust out of pillows and cushions, not to mention carpets & rugs! The water system removes everything for a clean result. Once the Rainbow is introduced into your home it will more than prove its worth by removing the dust, sand, dirt as well as dead skin from your beds. The ultimate accessory for your Rainbow allowing you to shampoo your carpet like has never happened before. Professional quality shampooing. This video demonstrates another accessory for the Rainbow, the RainJet. Talk to us about the full range of accessories available for the Rainbow.